The aerobic workout of cycling merges with the physical and mental benefits of yoga at a three-year-old business in Carmel, where InCycle and the Yoga Studio combine to offer a unique blend of exercise. She talked over the idea with her former employer, Karen Fox at the Yoga Studio in Broad Ripple. Fox readily agreed to collaborating, and she opened another location of her business next to InCycle. Together, Miller and Fox now offer classes that combine yoga and spinning. Separately, they also offer sessions in their respective areas of expertise. Fox has been offering classes in the ancient yoga traditions in her Broad Ripple location since 2003. The movement and meditation are designed to increase participants’ awareness of themselves and build strength, flexibility and endurance. Miller worked for Fox as a yoga instructor. Though Miller touts the yoga experience, she also believes a full cardiovascular workout is helpful. Miller promises “a good positive energy” at InCycle. All cycling sessions are choreographed to great music videos. One class, riders might be spinning to the soundtrack of the movie “Top Gun” — the next, Motown music. Recently, she added a simulated ride through Napa Valley followed by a wine tasting party. 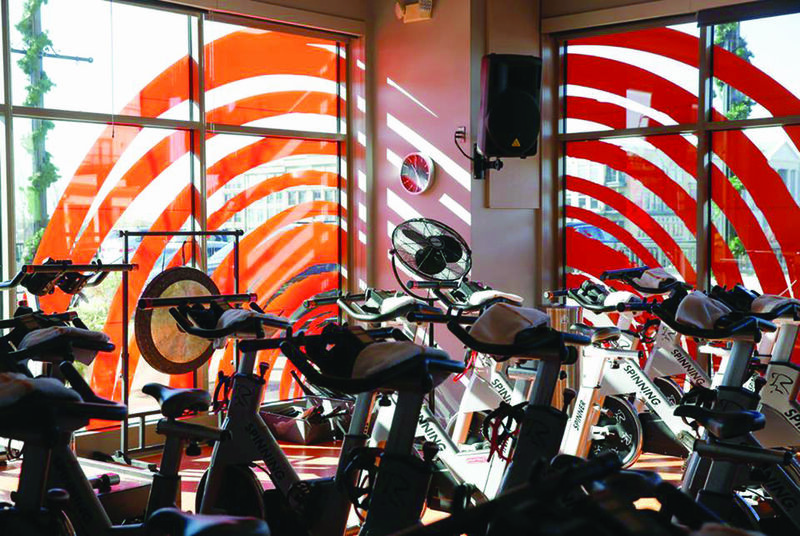 Miller admits the classes may look intimidating for the novice, but she says InCycle has classes for ages 12–80 and people of all sizes. A full workout in a 45-minute or 1-hour class can burn up to 700-plus calories, but riders should push themselves only within their own comfort zone. Participants and friends gathered in June for InCycle’s three-year anniversary event. Miller says she is pleased with the success of the business so far. “We have grown, and I’ve looked at adding another location. But right now, we are where we want to be. I want to maintain that same positive energy.” She adds that any kind of expansion would have to infuse the same quality of instruction and positive energy. 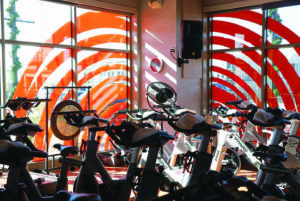 Miller infers that spinning plus yoga equal success for participants and InCycle’s bottom line.